Rabbi Robert Scheinberg, a graduate of the Jewish Theological Seminary, has been the rabbi of the United Synagogue of Hoboken since 1997. An engaging teacher and speaker and an accomplished musician, Rabbi Scheinberg previously served congregations in Massachusetts and Alabama, and serves on the faculties of the Jewish Theological Seminary (where he is a doctoral candidate in Jewish liturgy) and the Academy for Jewish Religion. In 2006, Rabbi Scheinberg served on the New Jersey Legislature's Death Penalty Study Commission as a representative of New Jersey's religious communities. The Commission's work set the stage for the abolition of capital punishment in New Jersey in December 2007. He also was on the editorial committee for Mahzor Lev Shalem, the new High Holiday prayerbook for Conservative Judaism, published in 2010. Please contact the Rabbi about life cycle events or any questions you may have. 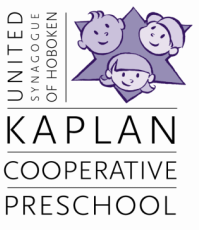 More information about the rabbi including the Rabbi's Blog, book list, readings and sermons and words and music can be found on the United Synagogue of Hoboken website.